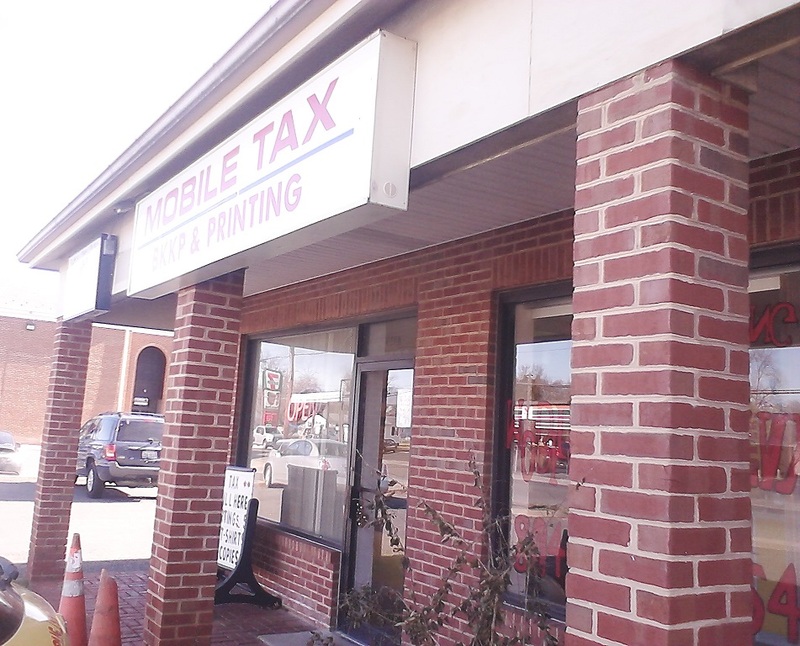 The Mobile Tax Bookkeeping Printing shop is located on Colonial Avenue next to Four Seasons Florist and the Nationwide Insurance office. The Gilchrist Eyecare shop used to be located here in this building as well. Bonnie Knott heads up the firm and is a certified tax preparer. 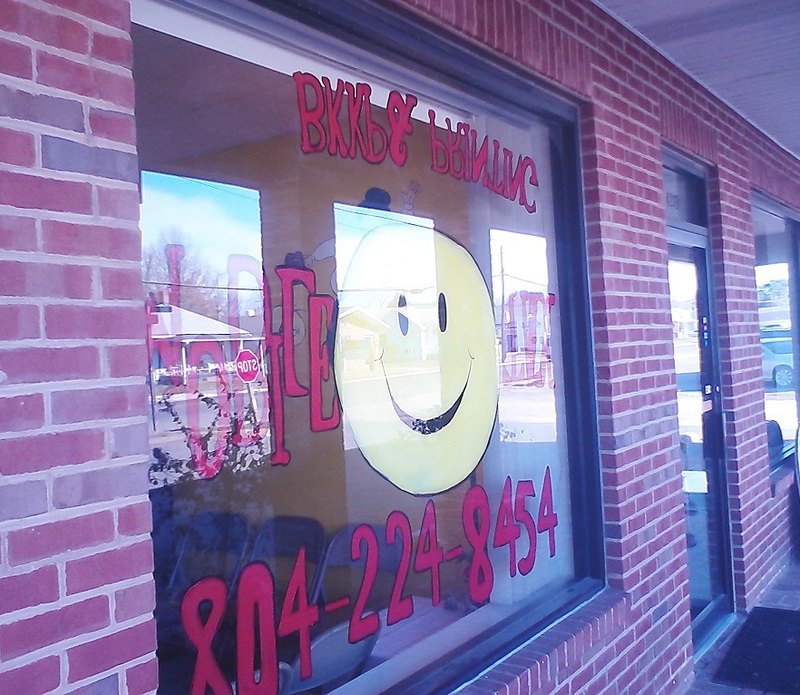 This shop also offers printing services such as invitations, posters/flyers and t-shirts. Payroll is another area they can tackle for you. You may recognize them by their trademark backwards and/or upside down printing on business cards and on their awesome company car. 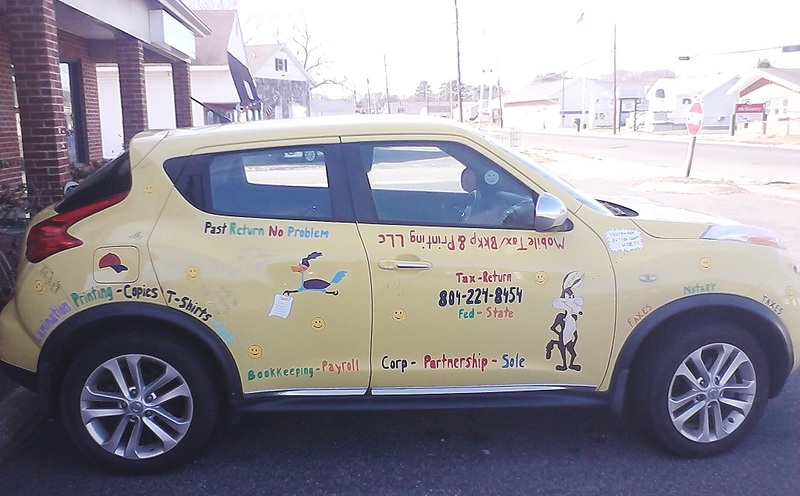 If you're in need of a FAX machine, they can send pages via facsimile for you for a nominal fee. There are both UPS and FedEx drop boxes just outside the store at the sidewalk for your convenience.